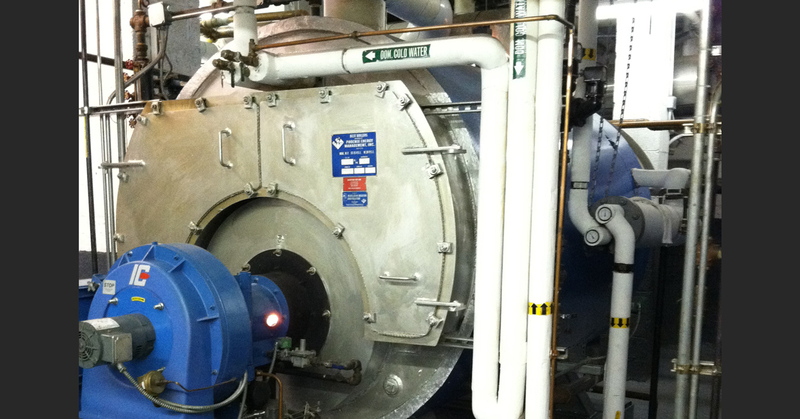 A steam boiler is a large capital investment that should last a very long time. Properly maintained, a Scotch marine boiler will easily last 20 or 30 years. Neglect or improper operation, however, can dramatically reduce the life of your investment. Over at HeatingHelp.com (one of our favorite websites), Ray Wohlfarth wrote a great piece called “Why Did The Boiler Fail So Quickly?” He describes seven real-life situations where a boiler he sold failed prematurely…every one of these boilers could have been saved with proper routine inspections and preventative maintenance. We’ve discussed at length how routine maintenance can save money in the long-run, but every time I read stories like these, I feel it bears repeating. One boiler Ray sold failed after just two years. The operating staff never blew down or checked the low water cutoffs. Mud inside of the dirty equipment jammed the water level sensor, sending a false positive to the boiler and it dry fired until that very expensive piece of equipment was totaled. When we set up his digital logbook in LogCheck, we set it to remind his staff to blow down each of their boilers once a week and inspect the low water cut off once a month. Now, not only do his staff perform these vital tasks regularly, he now has a running record of every time the work got done. I encourage you to go over to HeatingHelp.com and read Ray’s article. If you can’t say exactly when you last took action against the problems he describes, or you don’t have a running record of setpoints, readings, and PM tasks performed, then you should come right back to LogCheck.com and fill out our free trial form. Premature boiler failure is a very real fear, but with proper inspections and maintenance, your boiler has a chance to last three decades or more.